Yogalates﻿™﻿ Mobile for life Yoga & Pilates Classes for all ages. Tenterfield NSW Weekly Classes & Personalised One-on-one Sessions. Mobile for life Yogalates classes help you to find your moving body and set yourself up for a long healthy life. Relief from a tired, sore, and stiff body! Do you want to tone up and feel better, breathe better and move better? Accredited Solomon Yogalates Instructor with over 14 years experience to an in-depth exercise system, fusing Yoga & Pilates. Bringing to you breath awareness, toning, strengthening, stretching, core stability, assistance with injury rehabilitation, postnatal recovery and meditation. A time to de-stress and become grounded, balanced and nurtured. Sessions include an in-depth inquiry, providing careful instruction and advice for your body type and body needs. Options of ongoing training, or one-off consultation. For all ages and levels of ability. These sessions can assist you in tuning into your own body needs and understanding first hand how you can assist yourself with appropriate exercises, poses and ongoing maintenance. I can help create a fantastic home routine just for YOU! "I have been attending Yogalates classes with Leonore for a couple of years. Under Leonore’s keen supervision and teaching methods I have been able to achieve my goals. I now have a very strong core body, including pelvic floor and I have more flexibility in a whole range of movements. The stretching and subtle concentrated movements of this kind of discipline tweaks every muscle, tendon and nerve in my body and is invigorating and fun. Due to her unique style you can choose a gentle session or a more intense one during the class so this makes it ideal for all ages. Leonore is professional and generous in her description and teaching so I know why I am doing a particular movement and how this affects my body. Her particular attention and reminders of the importance of the breath is particularly reassuring as I am constantly forgetting. 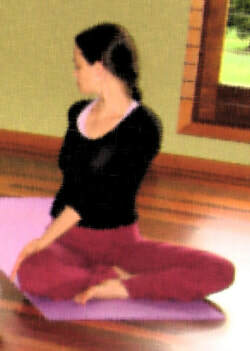 The meditation at the end of the class is soul drenchingly wonderful." "Not being an exercise person as such i was reluctant to join any group doing them but now that I am in my 70's I am finding my body is tightening up so I joined Leonore's class doing Yogalates! It didn't come easy but as the weeks went by I could notice a lot more flexibility coming into my body and I felt very comfortable with Leonore's guidance and experience."